Avg. Group Discount of 13.3%! Hotel just completed a major renovation. Guest must be 21 years or older to check-in. Valid identification will be required for all check-ins. Hotel does not provide complimentary breakfast. Aqua Lagoon Waterpark - separate entrance charge applies. The following fees and deposits are charged by the property at time of service, check-in. Deposit: USD 100 per stay. Poolside Rooms include Microwaves Refrigerators, all other rooms upon request only. Hartford-BDL International, 30 miles from hotel. Approximate cost, one way is $65.00. 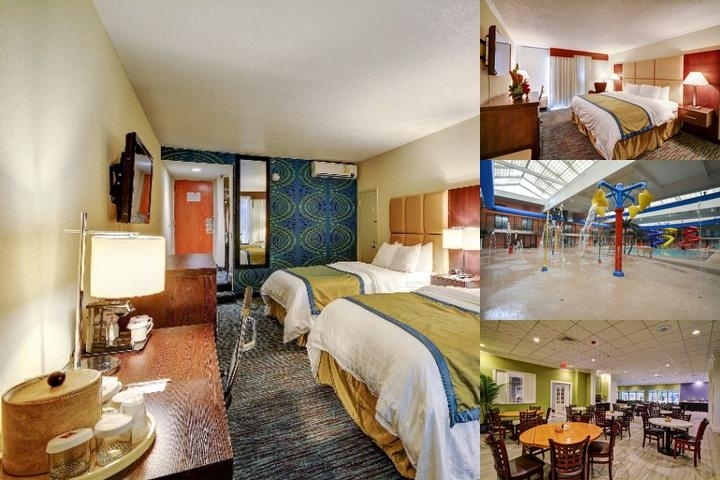 The Clarion Hotels highlights above are subject to change without notice. 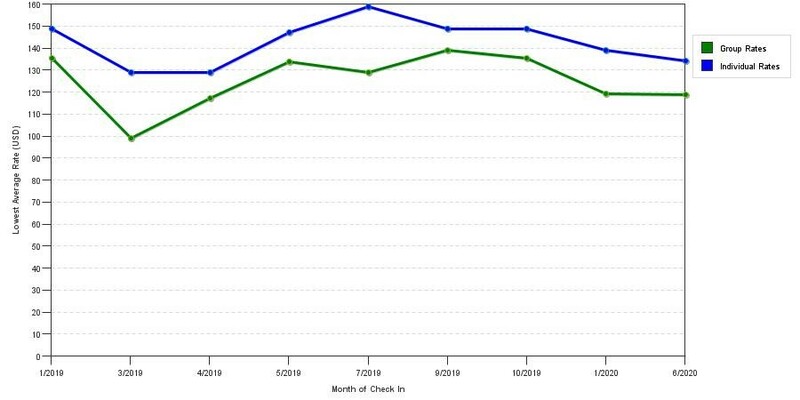 The chart above shows averages of prices for both group quotes and the best individual traveler rates our rate checker could find at the time the group bid was entered. The lowest group deal shown is 31.9% in March 2017 and the highest average individual rate is $160 in the month of November 2018. This chart will show past seasonality and also project future months. If you are flexible with dates, you may want to consider staying at Clarion Hotel & Aqua Lagoon Waterpark in a month when rates are lower.